Newmark Knight Frank Multifamily announced the sale of Ashford Belmar, a 512-unit, value-add asset in the retail destination of Belmar in Lakewood. The property sold for $143.5 million, marking the largest multifamily transaction in the Denver area so far this year. Vice Chairmen Shane Ozment and Terrance Hunt represented the seller, Atlanta-based The RADCO Companies, a real estate investment firm with a nationally recognized platform, in the sale to CWS Capital Partners, a fully integrated real estate investment management company. The property sold for an undisclosed price. “Ashford Belmar is unique with large units that average more than 1,200 square feet and include attached garages. The property’s one-, two- and three-bedroom units are spread across 26.3 acres, which creates a park-like-setting with low unit density (19.5 units/acre). Three-bedroom units – which make up more than 15 percent of the property – are rare in the Lakewood submarket,” said Hunt. Built in 1988 and 1993, Ashford Belmar is adjacent to a large lake with fountains and features an amenity suite anchored by a 27,000-square-foot clubhouse complete with billiards, a recreation room, a theater and a business center, an indoor Olympic pool and hot tub, an outdoor pool, a fire pit and lounge area, an expansive fitness center and a pet-grooming station. 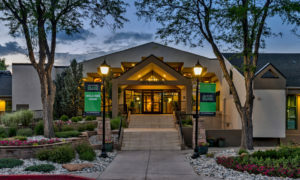 While the property has undergone nearly $10 million in capital improvements including new roofing, exterior paint and clubhouse and interior renovations, it also presents a proven value-add strategy, with more than half of the property not yet renovated. 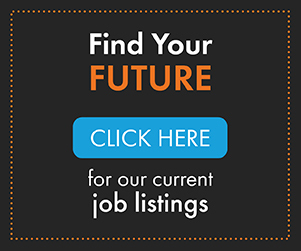 The property is surrounded by large employment hubs including The Denver Federal Center, Saint Anthony Hospital, the National Renewable Energy Laboratory and the Jefferson County government offices. HFF Announced $18.175M financing for Chase Tower and Wells Tower in Englewood. Holliday Fenoglio Fowler, L.P. (HFF) announced financing totaling $18.175 million for Chase Tower and Wells Tower, two 10-story office buildings in Englewood. The HFF team worked on behalf of the borrower, Situs Enterprises, in arranging the two long-term, competitively priced fixed-rate loans through Bellco Credit Union. Chase Tower and Wells Tower are located at 333 West Hampden Avenue and 3333 South Bannock Street, respectively, south of downtown Denver. The properties are close to the Englewood light rail station providing access to the greater Denver metro area and Interstate 25. Additionally, the buildings are less than one mile west of Cherry Hills Village, the Denver metro area’s most affluent community where home prices average $1.9 million. The buildings feature more than 220,000 square feet of office and retail space. The HFF debt placement team representing the borrower included director Leon McBroom. Situs Enterprises was represented by a team of seasoned real estate professionals led by Hugo Weinberger and Noam Ashter. Greg Lundstrom represented Bellco Credit Union. 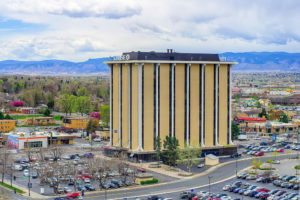 The Denver office of Lee & Associates, the largest broker-owned commercial real estate firm in North America, announces the sale of 1475 South Acoma Street Denver. 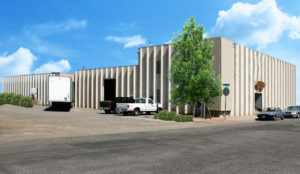 1475 South Acoma Street is a 66,126-square-foot warehouse building on a 1.66 acre lot, strategically located two blocks West of South Broadway at Florida. Formerly a marijuana grow facility, the industrial building offers distribution and manufacturing users ease of access to the metro area because of its close proximity to I-25. Private CRE FUND I, LLC sold the property for $4.9 million. The buyer, Flywheel Acoma, LLC, intends to hold the property as an investment. “The property is positioned well for future redevelopment as a Transit Oriented Development site with both Broadway Station and Evans Station one mile away, said Jeff Hallberg, with Lee & Associates Denver. Jeff Hallberg along with Brendan Cagney listed the property for sale. Daniel Close and Murray Platt with CBRE represented the Buyer. 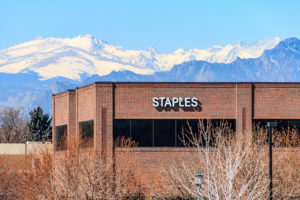 HFF also announced the sale of Church Ranch Office Building II, the western regional headquarters of Staples, Inc. in the Denver community of Westminster, Colorado. The property sold for $12.5 million. The HFF team marketed the property on behalf of a private equity firm based in New York. The buyer was a local private capital group managed by Basham & Associates, LLC, which is headquartered in Denver. 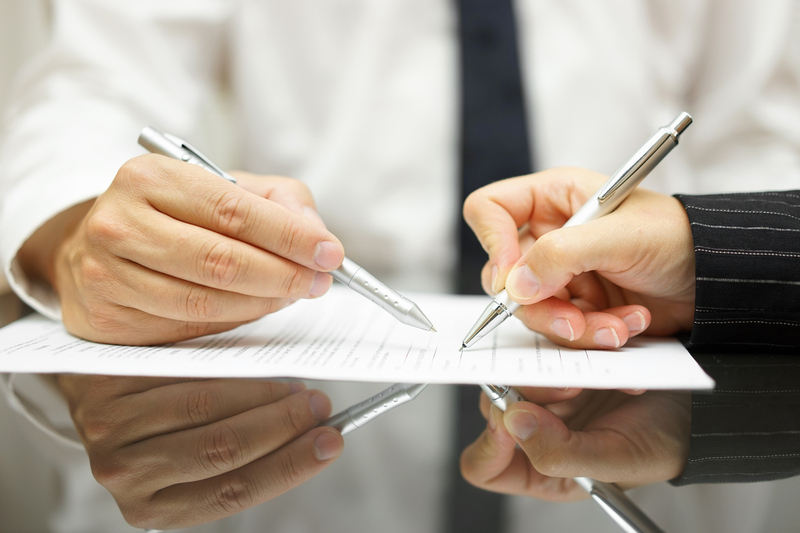 The buyer was represented in the acquisition by Brandon Basham of Basham & Associates, LLC. Completed in 2000 and renovated in 2017, Church Ranch Office Building II contains 63,057 square feet that is fully leased to Staples, Inc. as their western regional headquarters.  Located at 10249 Church Ranch Way, the property is positioned 10 miles northwest of Denver’s central business district in the Northwest office submarket. This location allows easy access to U.S. 36 and Interstate 25, providing access to Boulder, Denver and the greater metro area. 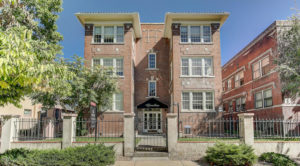 Greystone Unique Apartment Group announced the sale of a great value-add opportunity: Southglenn Place, located at 6541-6651 South Vine St. The 74,575-square-foot apartment complex recently sold for $19,5 million. SouthGlenn Place is a unique opportunity that will offer the new owner a stabilized multi-family asset with a significant “value-add” opportunity. The new owner will immediately be able to capitalize on the existing loss-to-lease in addition to the implementation of unit renovations resulting in significant rent increases. The property is blocks away from The Streets at SouthGlenn and Cherry Knolls Shopping Center, sits alone as the premier reasonably priced housing option in the immediate area. 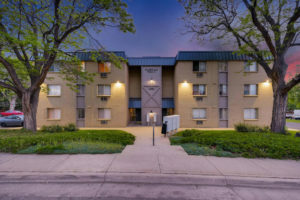 Selling at $144,444 per unit with a market average of $170,510 per unit in this area over the past two years; SouthGlenn demonstrates the incredible value add opportunity the new owner will have. Pinnacle Real Estate Advisors, LLC announced the sale of 1432 Pennsylvania Street in Central Denver. The fully renovated, 8-unit property, built in 1919, is located in the highly desirable Capitol Hill neighborhood. The property sold on November 29 for a contract price of $2.375 million $296,875 per unit and $256 per square foot. The property featured large, 2 bed/2 bath units with in-unit washer/dryers, garage parking and individual furnaces, AC and hot water heaters. Luke Salazar, Associate Advisor, and Robert Lawson and Jim Knowlton, principals, represented the buyers in the transaction. Unique Properties announced the sale of 6451-6471 E 49th Ave for $3.635 million. The property was purchased by a local investor in July 2016, renovated and leased to international wind energy tenant, Dan Hydra, and now has been repositioned to another local investor. The asset boasts two bridge cranes with rare 29’ under hook height and a large fenced yard. 8000 W 14th, LLC purchased a 6,524-square-foot office building at 8000 W. 14th Ave., Lakewood for $480,000. The Seller was Douglass Brown & White LP. The Seller was represented by Eric Gold and George Moseley of Sheldon-Gold Realty Inc. The Buyer was represented by Michael Bright of BRC Real Estate. Randy Bales purchased a 2,550-square-foot office condominium at 6454 S. Quebec St., Centennial for $240,000. The Seller was Aurora/Arapahoe Battered Women’s Shelter Inc. The Seller was represented by Eric Gold of Sheldon-Gold Realty Inc. The Buyer was represented by Brandon Langiewicx of Hoff & Leigh Colorado Springs, LLC. Victor Metal Works, LLC leased 5,000 square feet of industrial space at 34501 E. Quincy, Bldg. 12, Watkins, CO. The landlord was represented by George Moseley of Sheldon-Gold Realty Inc. The tenant was unrepresented. Blueprint Financial Consulting, LLC leased 1,390 square feet of office space at 12015 E. 46th Ave., Suite 420, Denver. The landlord was represented by George Moseley of Sheldon-Gold Realty Inc. The tenant was represented by Nick Schill of Pinnacle Real Estate Advisors. Pets by Nature leased 1,125 square feet of office space at 7610 S. Alkire Pl., Unit D, Littleton. The landlord was represented by Mary Jo Cummings of Sheldon-Gold Realty Inc. The tenant was unrepresented.